When hiking Greater Victoria trails, one can't help notice the diversity of birds that inhabit our local forests, bays and sea-shores. 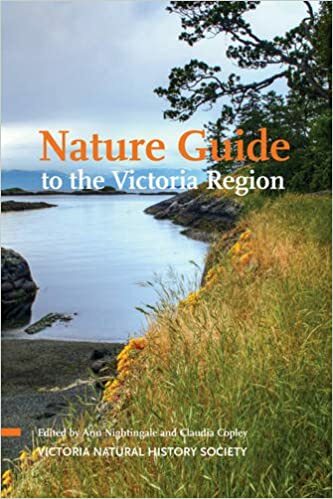 Southern Vancouver Island's geography offers a great diversity of habitats from rocky and sandy shoreline and tidal mud flats to riparian and deciduous forests, to dense old growth cedar and douglas fir stands, and up to inland rocky hilltops and garry oak meadows. This diversity attracts an every changing mix of avifauna and because our region offers favourable habitats for many bird species, Southern Vancouver Island can be a magical place for bird watching. - Natural History Night - 2nd Tues - 7:30pm. - Birders Night - 4th Wed - 7:30pm. Join a local birder for a morning walk around Swan Lake. Meet at 9:00am in the parking lot. Bring binoculars and you field guide. Become a member in the Victoria Natural History Society to participate in their outings. Call 250-704-2555 to hear the VNHS events listings or visit the VNHS website. This book is designed to help you understand the variety of habitats and natural wonders awaiting your discovery, all in a portable, easy-to-read format. It includes beautiful full-colour photographs, checklists and a map of all the great places to visit. The book offers detailed trail maps of some of the area birding locations, making it indispensable for birders who like to hike and bird.